Using the Mind Garden Transform™ system for online surveys provides the full assessment and scoring of your chosen instrument. Some of the instruments include a few demographic questions requesting e.g. participant age, gender, etc. These features meet the needs for many customers’ research, developmental, or personal work. However, many customers need additional features for their survey. With this in mind, we offer Customization services for online Forms and Reports. Researchers and students are often required to have informed consent from all participants in their study. To add Informed Consent, provide us with the exact wording of your informed consent document and the consent question for your participants. Transform uses skip logic so participants who give consent are allowed to continue the survey, while participants who do not give consent are directed out of the survey. You may add any text to your Custom Form. Some commonly customized text includes adding an introduction and conclusion to the survey. We recommend that you use the original survey instructions to retain the reliability and validity of the instrument. To add a second Mind Garden instrument to your Custom Form, simply let us know which instrument(s) you want to combine. 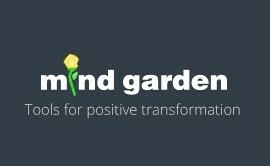 Pricing per assessment will change depending on how many Mind Garden instruments you use in one survey. If you want to add an instrument not published by Mind Garden, you must (1) provide the full assessment (instructions, questions, and response format), (2) provide evidence that you have permission to use the instrument, and (3) provide accurate copyright information for the instrument. We can also provide scoring for your added instrument(s). Add an image to appear at the top of every survey page on Mind Garden assessments. The image must be in .png, .jpg, or .gif format and be 198x209 pixels in size. *For added questions, you have some format choices. 1. Choose whether each question is mandatory or optional. A mandatory question requires a response in order to continue or complete the survey. The exact text and features you wish to add. These materials must be in a text-editable format (no scans). The minimum price for survey customization is $200. Total price is based on the quantity and type of content you wish to add. View the Pricing section on our Customization page for a full price list. The purchase of a Custom Form does not include licenses for the survey. To use your Custom Form, you must purchase licenses for the original product. We will provide you with a preview link to your custom survey within 8 business days of receiving your payment (custom work can be expedited to 2-3 business days for an additional $100 rush fee). Use the link to preview your survey and contact us with approval or any necessary edits, which may take 1-2 business days. Two editing sessions are included with your customization purchase; you may be charged for additional editing sessions. Once the preview is approved, you will be given a Live Test: you can take your custom survey and see how the data will appear in your data download. If no changes are needed, your survey is ready to launch. Reports offer automated scoring and interpretation in an easy-to-read PDF document. Many Mind Garden products are available with both Individual and Group Report output. You may add any text to your Custom Report. Customized text frequently includes adding to the Report introduction and adding your own development exercises. If you added another assessment to your online survey, you can customize the Report to display those scores in a bar graph or list those scores in a table. You can also customize the report to display the score from each item, by each new scale. In Group Reports, we can filter or "breakout" survey scale scores by any demographic question. For instance, you could divide your group data by participants in top management vs. middle management. The report would show the average scores for your group as a whole, followed by a breakdown of average scores from the top management subgroup and average scores from the middle management subgroup. Any breakout you want to use must be a mandatory question on your Custom Form. If you added demographic questions to your Custom Form, you can have that data displayed in your Custom Report. Demographics are usually displayed at the end of the Report. In Individual Reports, the demographic question will be listed by the participant’s response. In Group Reports, the number of participants who chose each response will be counted and reported. E.g., for the question: “What is your employment status?” with response options of Full-Time, Part-Time, and Unemployed, the listing in the Group Report would be: “Number of Participants Working Full-Time: 156,” “Number Participants Working Part-Time: 45,” “Number of Participants Unemployed: 17”; whereas in an Individual Report it would be: “What is your employment status? Full-Time”. If you customized a multi-rater instrument, only participant (not rater) demographics can be displayed in Individual and Group Reports. If you added a question with an open response format, you can customize your Individual Report to display the full text of the participant’s response. If you customized a multi-rater instrument, open responses from your raters can be included in the Individual Report. Displaying open responses is unavailable in Group Reports. Mind Garden Reports have the ability to sort all item scores by the highest or by the lowest score. 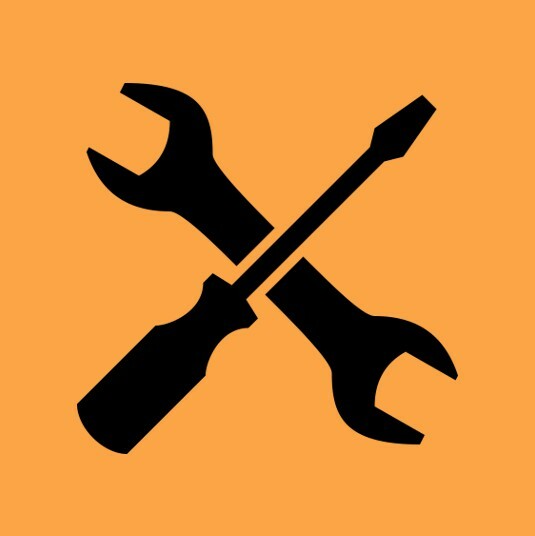 Some Reports already have a feature where the 10 highest scored items and the 10 lowest scored items are highlighted to help identify strengths and weaknesses. To find out if a Report has this feature, view the sample report provided on the product pages. You can add this feature to your Custom Report for a Mind Garden product or for any assessments you added to your Custom Form (scoring must be available). Add an image to appear on the cover page of your Custom Report. The image must be in .png, .jpg, or .gif format. Mind Garden prefers 400x400 pixels in size. The exact features you wish to add. The minimum price for Group Report customization is $400. Total price is based on the type and quantity of features you wish to add. View the Pricing section on our Customization page for a full price list. We will provide you with a preview Custom Report in PDF format within 8 business days of receiving your Custom Report payment (custom work can be expedited to 2-3 business days for an additional $100 rush fee). Preview your report and contact us with approval or any necessary edits, which may take 1-2 business days. Two editing sessions are included with your Custom Report purchase; you may be charged for additional editing sessions. Once the report preview is approved, we will enable the report for your campaign and it will be release as selected in your campaign setup. View our full list of terms here. The term "form" is most often used to distinguish the self-rating from the other-rating versions of an assessment (e.g. Self Form vs. Rater Form).